Stem cell graft restores memory and mood. Durham, NC — Grafting stem cells from one part of the brain into another can restore important cognitive functions such as memory and mood after brain injury and also trigger the growth of new neurons, a U.S. research team has found. 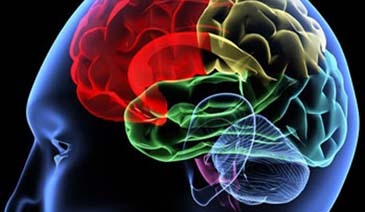 The study, published in the current issue of STEM CELLS Translational Medicine, was conducted by researchers from the Institute for Regenerative Medicine at Texas A&M Health Science Center, Duke University Medical Center and Veterans Affairs Medical Centers in Temple, Texas, and Durham, N.C.
“Our procedure brought back key functions in the part of the brain that regulates emotional outlook, learning, memory and spatial navigation,” said Ashok Shetty, director of neurosciences at the Texas A&M institute, senior investigator who helped lead the study. The subventricular zone is a known site of adult neurogenesis—the process that populates the adult brain with growing neurons—in the brains of adult rodents, monkeys and humans. The full article, “Neural Stem Cell Grafting Counteracts Hippocampal Injury-Mediated Impairments in Mood, Memory, and Neurogenesis,” can be accessed at www.StemCellsTM.com.